I managed to wake myself up after the 5th snooze at 2 AM. My roommate and I slowly and sleepily got all of our items together and met the rest of the group downstairs, and from there we were off. We caught a flight around 5 AM which took us to the Leh Ladakh airport in the very north of India. As we began to descend, I could not believe my eyes. It was some of the most beautiful mountain scenery I had ever seen. There were vast patches of green where villages were settled, which were broken up by large peaks and huge barren areas of brown land. I had never before been in a setting anything like this one. When we landed, however, we were not greeted with a warm welcome. As we exited the plane to walk to the bus which would drive us to the small airport, we were harshly instructed by soldiers with large guns to absolutely not take any photography of the area. We would soon learn that Ladakh within is a heavily militarized zone due to it being in the state of Jammu-Kashmir, a region which borders both China and Pakistan. In order to enter the airport we all had to walk through a path lined with more scary looking men with huge guns. I’ll admit, it was a bit off-putting at first. That is, until I made eye contact with a soldier and smiled at him and he smiled back at me- that’s when I knew everything was going to be okay and began feeling comfortable in my new situation. 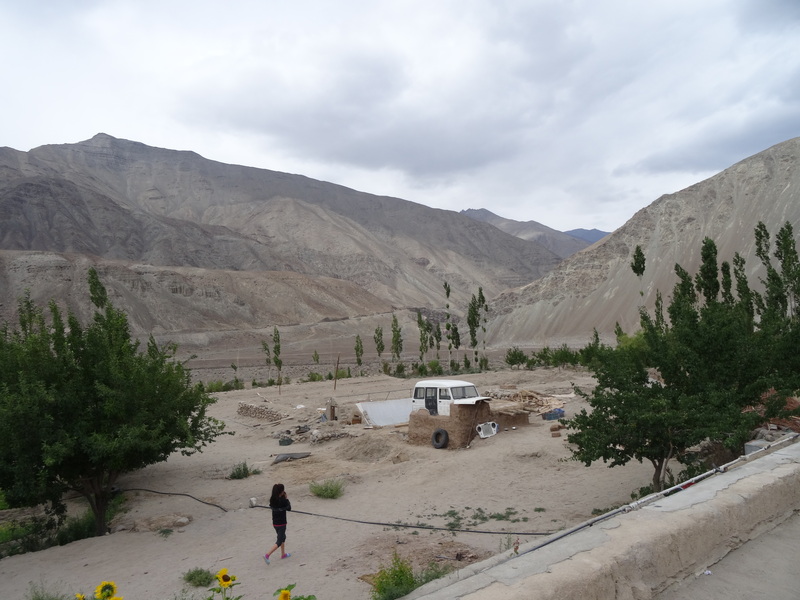 Once our group left the airport, we all crammed ourselves into tiny vans with no seat belts and began driving to the school we would be staying at for the next week, SECMOL, which stands for Students’ Educational and Cultural Movement of Ladakh. We were greeted by the students and faculty of this small school, and taught about how the school was run. 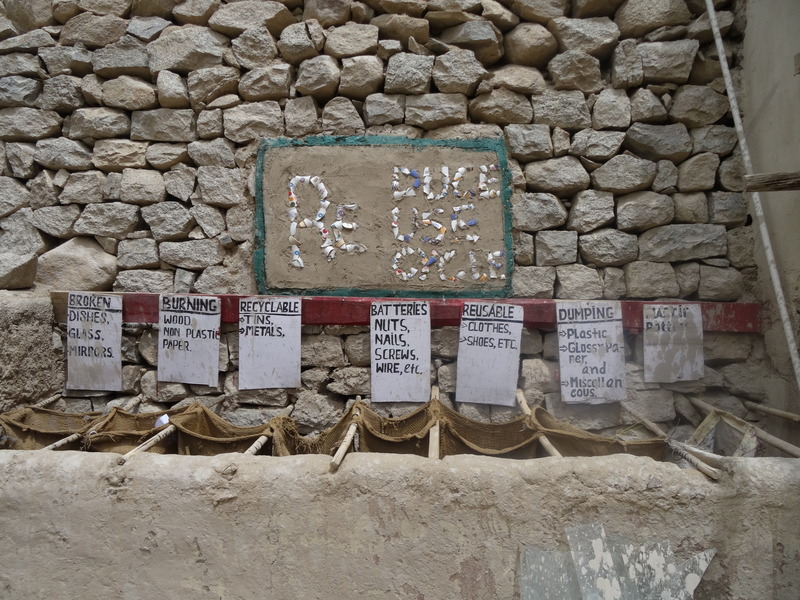 It is an “alternative school,” for both college students and students who were not able to pass their classes at their high schools in other villages. It is completely sustainable, solar powered, and student-run. After a campus tour, our group leaders Robbie and Liz recommended that we all rest in order to allow our bodies to acclimate to the high elevation, as we were now in the heart of the Himalayas. Instead of taking this advice, I decided to tour the campus on my own. I visited a computer class, where students were learning how to use Microsoft Word, which was the most technology that was seen around campus- there was no internet or cell phone service there. At this computer class I made friends and gave them pictures I took of them with my polaroid camera, which was a big hit. I met one friend named Chotak who was kind enough to show me around the school even more, so we walked the perimeter of the campus while I barraged him with questions about his SECMOL experience and his home village. One of the most amazing things I got to experience with him on this day was when we climbed down the side of the mountain that the campus rested on in order to visit the large river right next to the school. 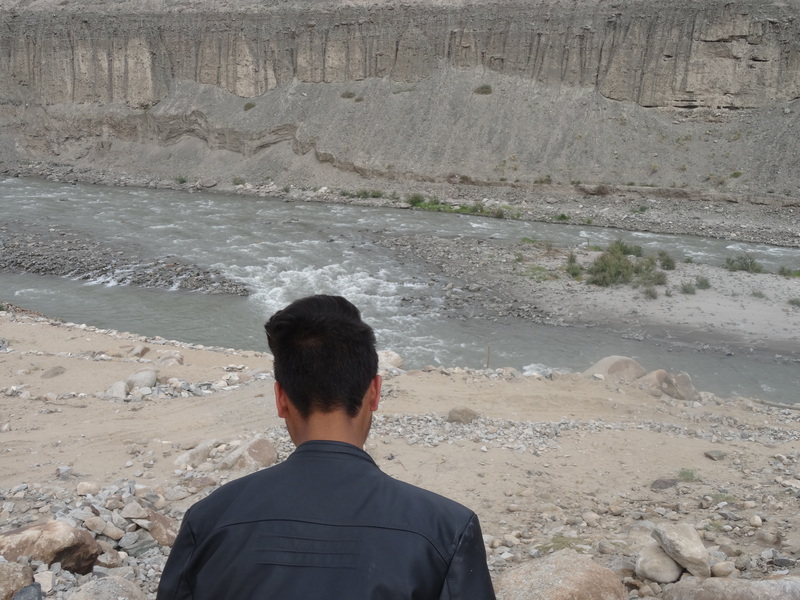 I later learned that this was the Indus River. It was extremely beautiful but also cold, so we hiked back up to the school and ate our first dinner with everybody else. After dinner, I sat outside with a group of new Ladakhi students I had just met, and we got to know each other while talking about our very different lives and looking up at the stars. Since there was no light pollution from anywhere in the mountains, we could even see Mars and Jupiter clearly. It was a perfect end to our first day at SECMOL, and I had already felt like I’d been there for weeks. It is good to see that you fit in and felt comfortable even after only being there for one day. it is crazy to think that students in other countries don’t have the same technology we have here tht we take for granted. I really like the theme you went with for this blog. It highlights the pictures at the top and makes them a major focus in the article.